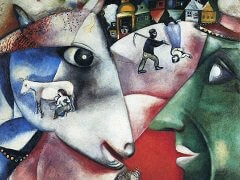 Chagall's paintings have a dream-like feel, and often include both realistic and fantastical elements. 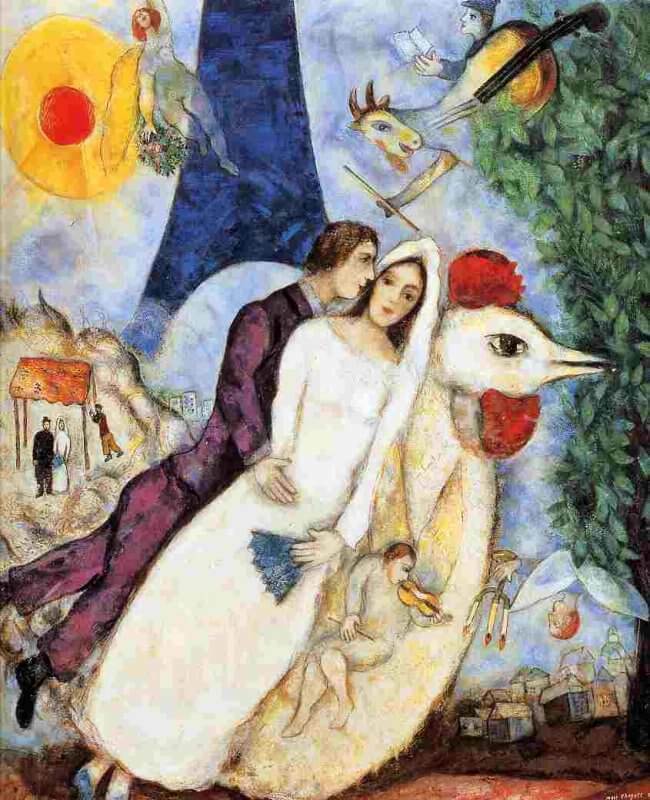 A very famous example of this is his painting, The Bridal Pair with The Eiffel Tower. 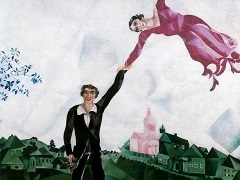 The subject of the work is grounded in reality, a bride and groom embrace in front of The Eiffel Tower, however, the couple are positioned at an unnatural angle with the ground. They almost appear to be floating, an illusion that is enhanced by the small size of the town in the distance, and the distance that seems to exist between their feet and the ground. 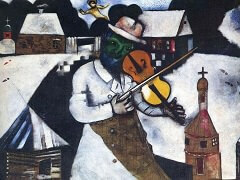 In the top right corner of the painting, one can see a cow that morphs into a fiddle. 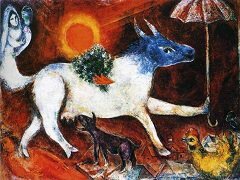 Chagall is referencing popular nursery rhymes, and here combines the "cat and the fiddle" with "the cow jumped over the moon." 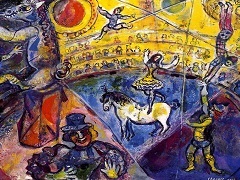 The other figures found in the painting, including the large rooster, the man with the book, and the two winged figures, are also thought to come from nursery rhymes. 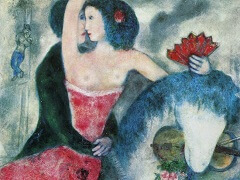 Chagall does not make his references overly obvious, allowing the viewer to think of whichever childhood favorite he or she chooses.